Need a way to shake off that cabin fever? Spend an evening learning about the owls of Ontario, their adaptations, calls, and behaviour, presented by Caroline Biribauer, Outreach Coordinator with the Essex Region Conservation Authority. The cost for each event is $5 per person, or $12 for a family. Space is limited and pre-registration is required. 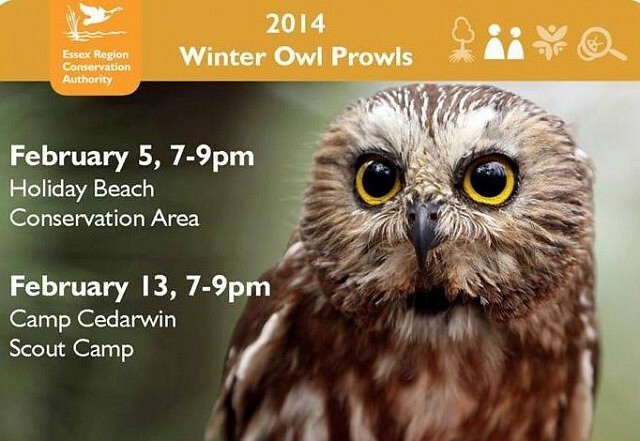 For tickets for the Holiday Beach Owl Prowl click here. For the Camp Cedarwin Owl Prowl click here.